This morning my friend Robyn forwarded a tweet that read, “Did you know today is National Draw A Bird Day?” I did not know this. Drawing a bird was not on my to-do list but I quickly found myself making an opening. I went to the DABD website and learned about the day’s history. In the early 1940s, a little Londoner named Dorie asked her uncle, an injured soldier in the hospital, to draw a bird for her. He appreciated her candor about the drawing not being very good and yet still being willing keep the picture. Other wounded soldiers that found humor in this took up bird drawing contests during her subsequent visits. They reached a point where they filled the entire ward’s wall with bird drawings. After a tragic accident that took Dorie’s life a few years later, soldiers and hospital staff drew birds on her birthday in her honor. The tradition grew over time, and while not declared a national holiday, it has become a world-wide way to express joy in the simple things of life and provide a welcome distraction for those suffering in battle. Considering birds as ambassadors of simple joy, I knew immediately who I would sketch. 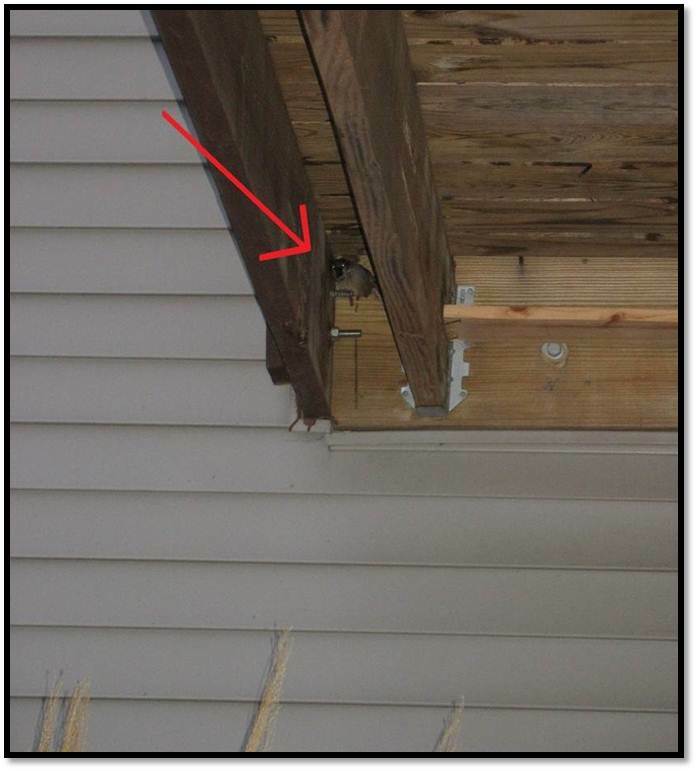 Around the start of this past winter, Joel asked me if I noticed what was living under the deck. I immediately gave him a wild-eyed expression to convey a worried “WHAT?! ?” reply. “Oh it’s just a bird. I think it’s a sparrow,” he assured me. Well that was a pleasant surprise; I had no issues with that. When I went outside the next day, I did not find a bird but I did find plenty of evidence on the mulch that supported the theory of a bird living under the deck. We had a squatter alright. This little male house sparrow spent the winter tucked up on that bolt that supports the deck. I was always quick about taking little peeks because he didn’t entirely trust me. He’d only let me take two pictures before dashing off. While I’ve probably been feeding the guy for years, I still respect a wild bird’s fear of humans. I think we may have reached a new understanding though when he stayed put while I shoveled out snow late one night so that Peanut could go outside. I made sure not to stop and make eye contact so he didn’t feel threatened to leave. I’ve since learned that it can be a matter of life and death for a bird that loses its body heat in very cold temperatures from an act like flying off once it is tucked in for the night. I whispered “goodnight” to him each time Peanut and I came back inside from her last trip out for the evening. A bit rusty with my drawing skills, the eyes didn’t shape up as well as I’d have liked. I think the sparrow looks like a cross between Ray Charles and a jazzy hipster with that goatee. That’s OK though because this isn’t meant to be a drawing contest, just an act to share a little joy and happiness. Thank you to Robyn and those who participate in spreading a little joy with this fun tradition. 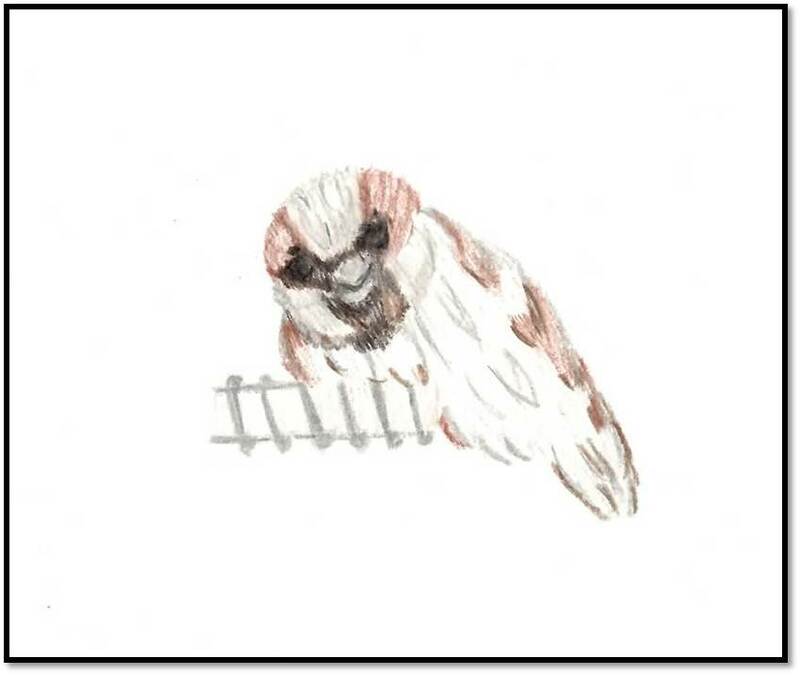 Want to draw your own sparrow? If you’d rather not wing it (ha!) like I did, here is a step-by-step beginner’s guide on how to draw a bird.